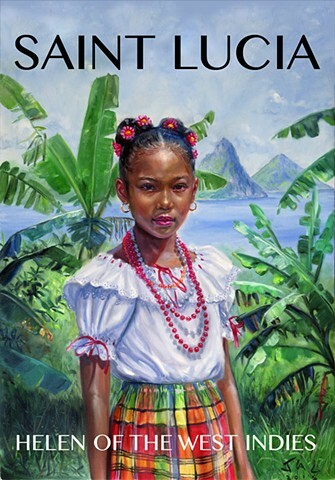 11" x 14" poster of Kejeem with Pitons in background. Printed on 100lb poster paper with UV gloss coating. Clear acrylic sleeve and backing board included. Price includes shipping within the US. 50% proceeds to benefit Girl Guides of Laborie.